Fantastic mat, I have a couple in my soldering kit never lets the heat soak through like my last mat, another must have for hot work. Simple to use and easy to store. Excellent heat-taking capability. Easy to set up, remove, and brush off and drips. Much easier than using a couple of mats! Nice soldering mat, very well made and thought out with the wrap around . No scorch marks at all. Lovely bit of kit. Will definitely be buying in the future. Another great product from monument, the heat resistant is very good does not leave burn marks of such nice clean professional finish. This is the best heat mat that I’ve ever used, and over my 22 years I’ve used hundreds. You seriously won’t be disappointed with this mat, pulse the hole and flat make this such a valuable tool, this mat doesn’t let any heat through, it doesn’t melt or turn black and start falling to bits, it’s a real quality mat. More shuttle tile than heat mat, the only mat i would buy. A little more expensive than some but worth it. What a great product! When you're soldering in awkward positions this mat protects all surfaces from scorch/heat marks. Its really good quality & think it's fairly priced. Iv been using this for the past couple of years. Good build quality and features. Great for piping radiators, boilers and HWC's. Cheaper versions on the market do not compare! By far the beat burn mat out here ive had this for over 4 months and its still going unlike other cheap makes. Great soldering mat. Nice and thin to get in behind pipework and even with flame full onto it it never leaves any marks on customers walls. Very good and versatile heat matt. Robust and good protection properties. 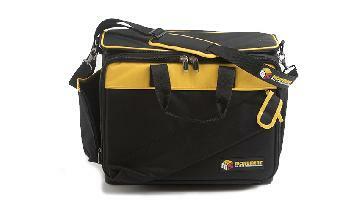 Good price too when compared to other brands and in my opinion better performing too. Brilliant but oh so simple! A must to keep in the tool bag! Great for saving surfaces from burning! Fits nice around the pipe work does the job! 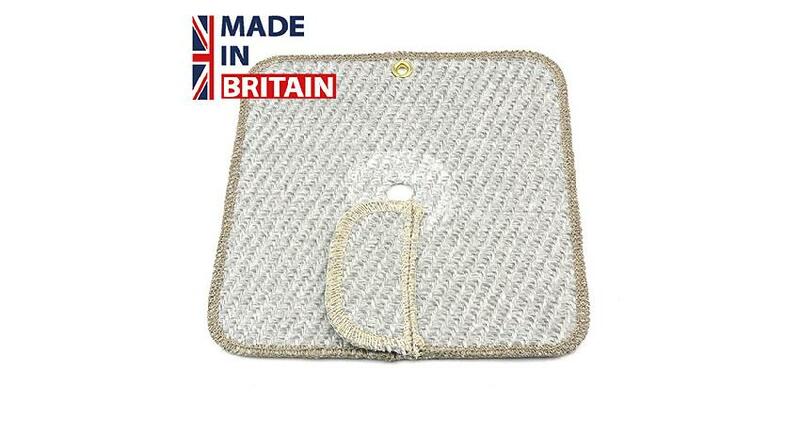 Brilliant heat mat, easily out lasts other well knows brands if you look after it will look after you. Fantastic mat great simple idea A must for any plumber/heating engineer. Great quality made by a Great British company with a great heritage within the plumbing industry. Quality all the way.it instills confidence when working near newly painted walls, and being a light colour you can instantly see if it's dirty or not, as some mats are black in colour.and nowhere near as sturdy. great heat mat. no more burning walls. fits round the pipe well. I'm a huge fan of this simple. It brilliant idea. Really like this mat better than all the other makes I've used and seems toughened strong so hopefully will last a while as well. I'm Dave Armstrong from DA Gas, Heating and plumbing. 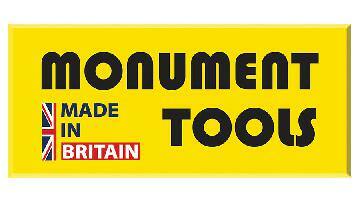 Today I'm doing a Tool Talk Review for Expert Trades and today I'm reviewing the Monument Omat. So the Omat is a heat resistant mat or heat mat which is approximately six, seven inches, by six, seven inches square, with an O in the middle, or a hole. It's a 15 mil hole, and it's got a little flap on the mat, so when you go round the pipe, which I'll show you in a minute, and fold it over, you've got that bit of flap there to cover so there's no bare joint there. So your heat's not going to go straight through it. So I'll quickly show you, I've got a joint ready to solder up, it's on a tiled wall so not really the best example, ideally it would be in a paper, wallpaper or a painted wall would be the best way to show, but I'll give you what I've got. So bear with me, I'll just turn the camera around. So just going to solder up this elbow in the corner with the Monument OMAT. So the hole goes over, that's the flap bit that I was talking about, just sits over, presume I've actually it the wrong way round. I'll just try that way round. There we go, I think that's better. Here we go. So you can see how tight that hole is around a 15 mil pipe. To give it a good seal I'll just solder that up so you can see. Let's hope my soldering's all right, no pressure now, eh? There you go, I'm pretty much pointing that directly at the wall. And there you have it. The Monument Omat, time will tell how long it lasts, it's a bit burnt already, that's because the apprentice was absolutely blasting it the other day, but I've had Monument Mats before in the past and they've lasted well, so there you go. Monument Omat, thank you very much. Hello Lee from iGas Heating doing a Tool Talk Review for Expert Trades on the Monument O-Ring Soldering Mat. Does exactly what it says on the tin. It's here for protecting your walls. It's got a handy little O in it, that's why it's called The O Mat. Bit of a give away. So it can wrap around the pipe, protects your walls. I'll just show you it in action, very quickly. I'll just clean up a bit, 'cause it's got a mark. If it'll stay. There you go. So you can literally put the flame straight on it and it still won't burn the wall, but what I like to do myself personally is just direct the flame away from the wall, if you can. Just getting a bit higher that. Burning the edges, here we go. And we'll just ... That's one. Go underneath. That's two. Let me just chalk those off. As you can see joint's finished, take the mat away, no scorch marks whatsoever on the tile. Does its job. Mine was pretty old and tatty, that's about a year old that one, so they do get a bit frayed, when they do it actually catches fire a little bit, but as long as it's all on one side you're not going to burn anyone's house down. But you know, don't let it get this old, but like I say it's about a year old and it's still doing its job. No burns on the walls.